A cheerful 3d rendering of nested eye-camera objects of different colors turning in cup looking semi-spheres in the purple background. They create the mood of fun in seamless loops. 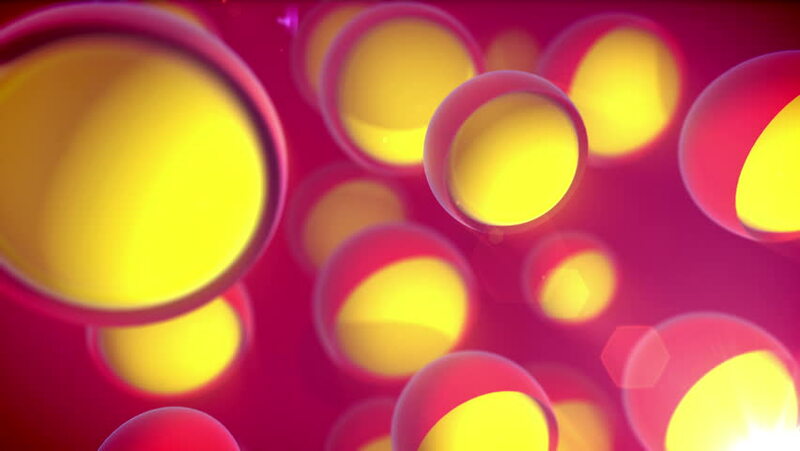 hd00:25Colorful Pop Shine Circles Bubbles Abstract Motion Background Loop 1 Easy to colorize, flip, reverse, alter speed or otherwise modify. 4k00:10Gold yellow magenta background with spectrum color circle and lens flare effect. Fine big color gradient round with space for titles and teleshopping text.